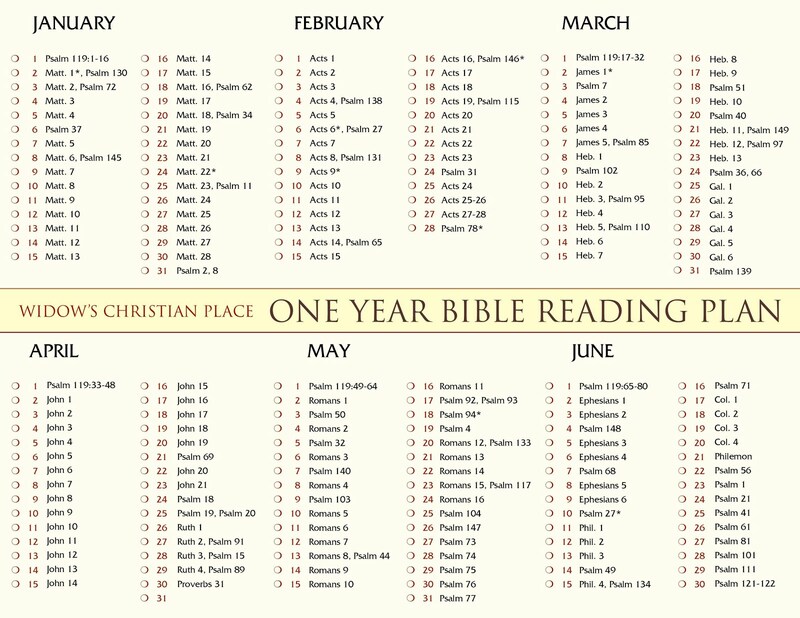 Here is our Bible reading calendar for February. 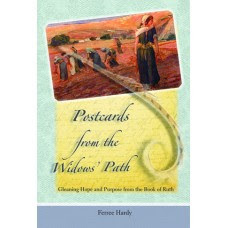 I pray it will bring comfort and guidance to your heart. If you missed January's calendar and introduction to the plan, please click here for important information. This month we will read the entire book of Acts, the history of the early church---and it includes widows! An * marks the chapters that widows are mentioned in, both good and bad circumstances, so don't expect it to all be positive, but rest assured, God will avenge. I hope you're keeping a notebook of significant points from your Bible reading. If you haven't started yet, start one now, it's never too late. For some tips about keeping a notebook, click here. A simple formula I like to follow is A B C.
B -- copy down the Best verse you read today. Please share your thoughts and insights during this coming month. I'd love to hear how the Lord is speaking to you through His Word! * means that widows are mentioned in the passage. Thank you, and God bless you for doing this. I am so enjoying January's reading schedule, and find it's one of the high points of my. As I read I think of other widow's who are also following this plan, and ask God to bless, comfort and heal their hearts. I've also set up a special bookmark and I print it out monthly. 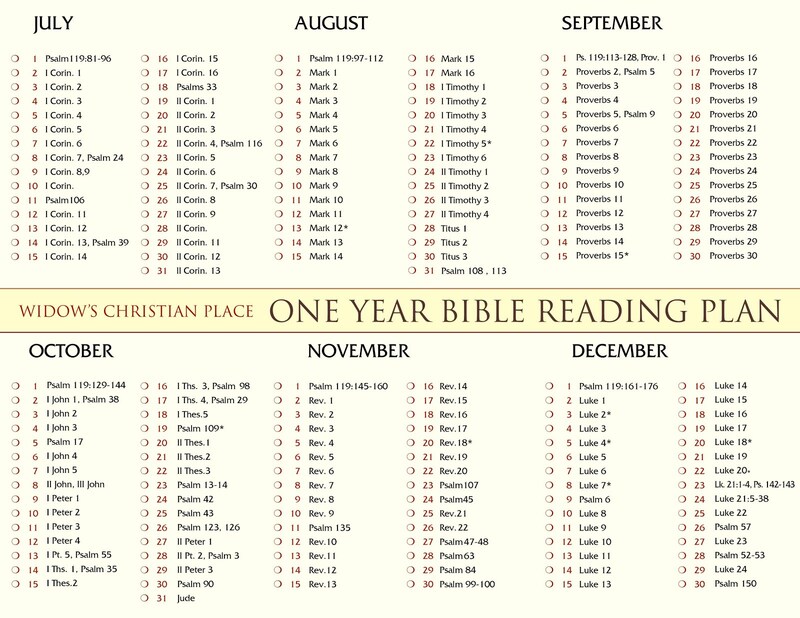 When done, I'll have the whole year and then I'm going to take it to the printer and have it printed out on card stock, and cut into 12 bookmarks that I can use year after year. You are such an encouragement, Ferree. That's a wonderful idea Mrs Mac! And so handy too, to have it on a bookmark. I love it! Thank you for commenting today, and a special thanks for praying for the other widows out there too. YOU are such encouragement! God bless you!